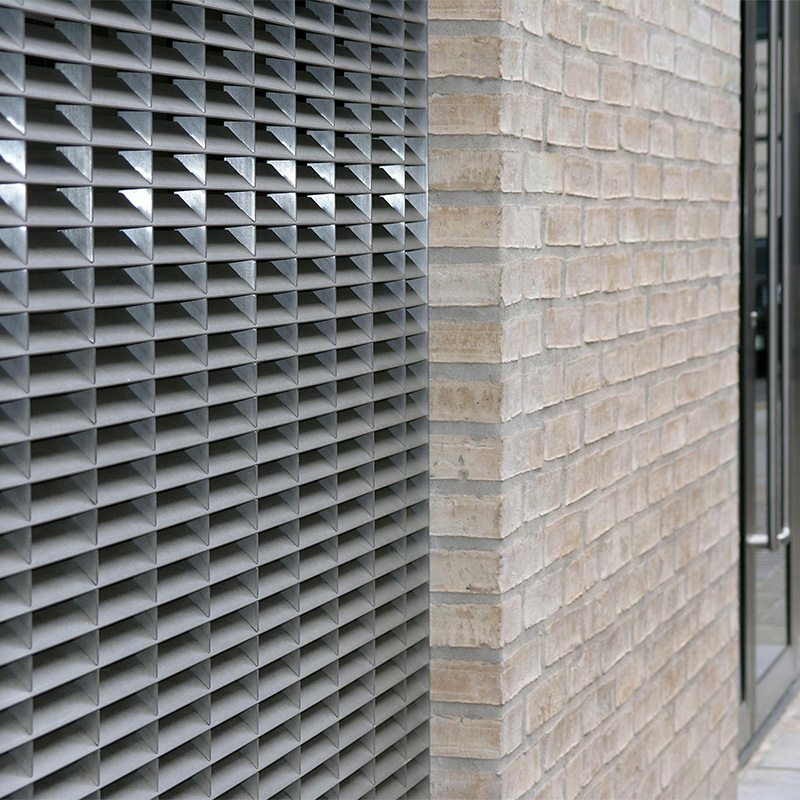 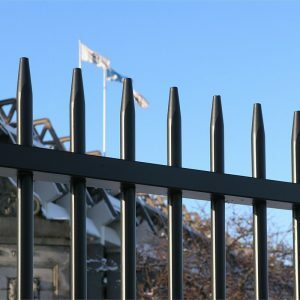 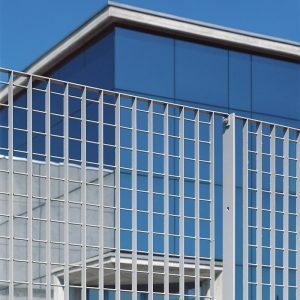 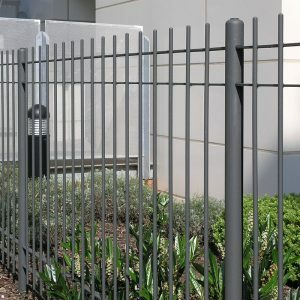 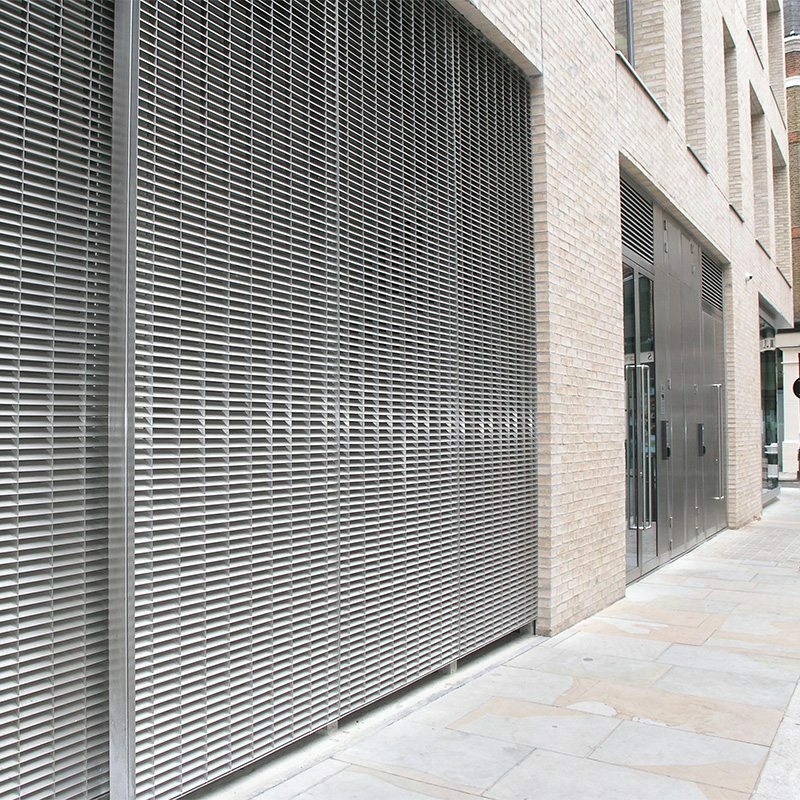 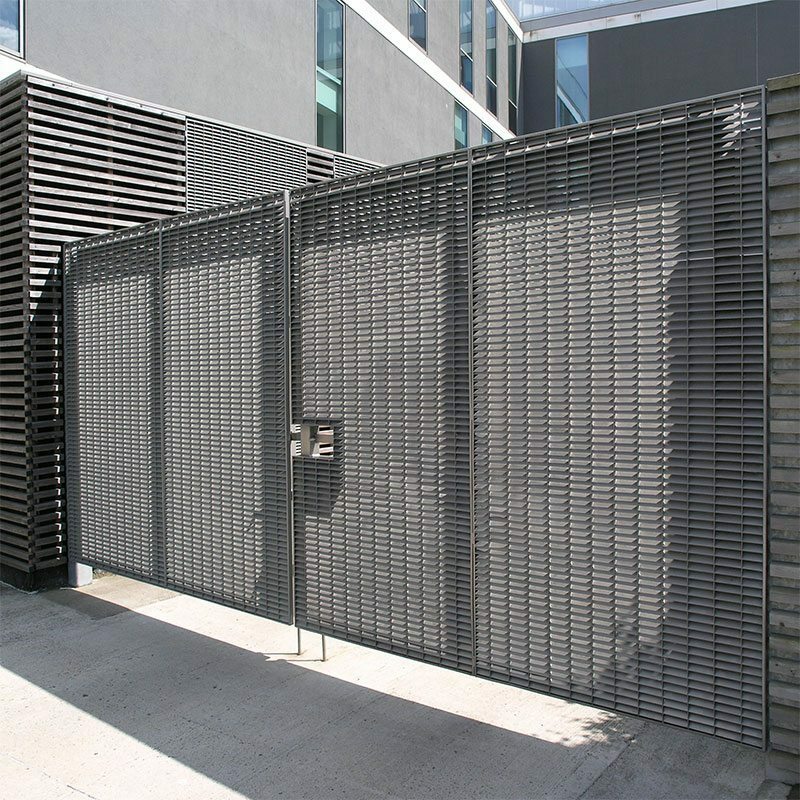 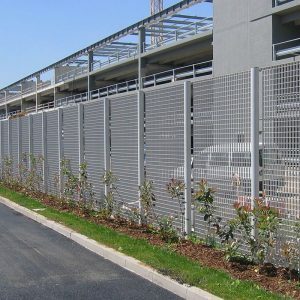 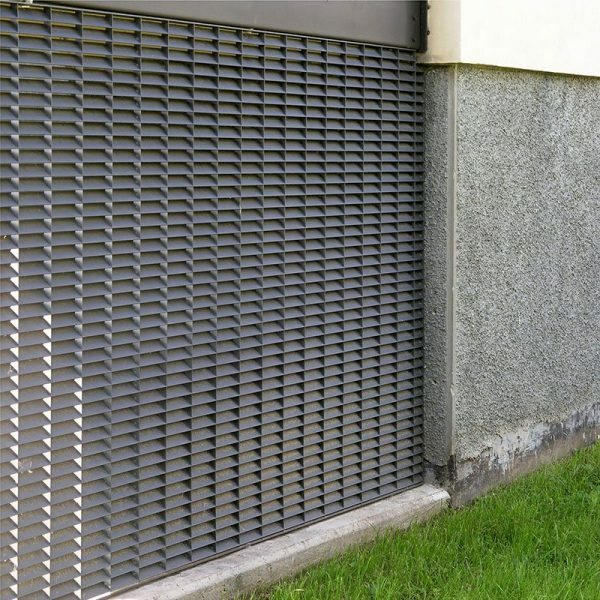 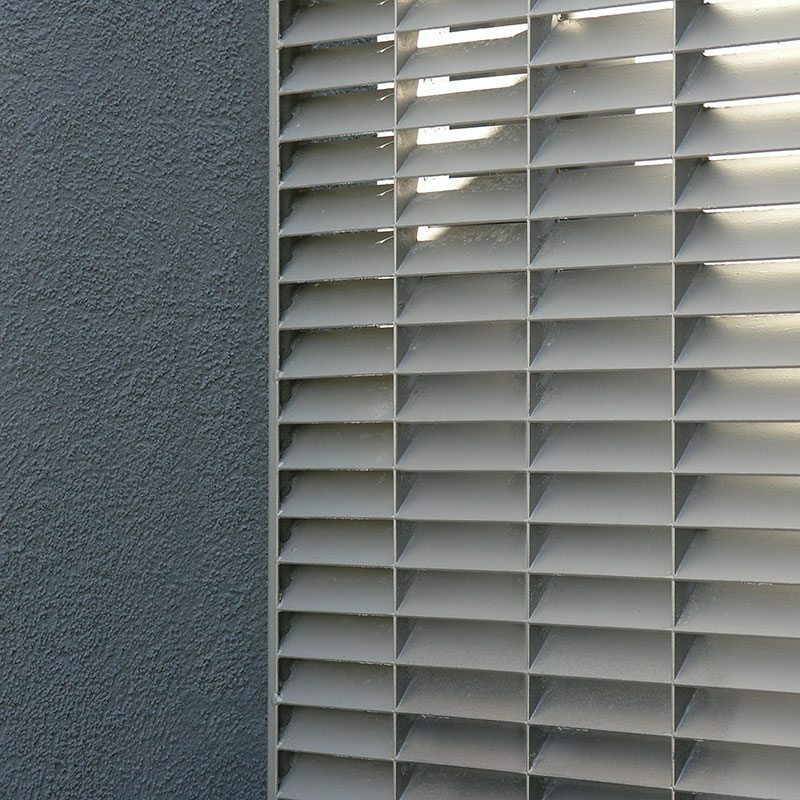 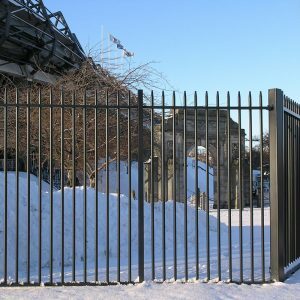 DeltaBox is a pressure-locked louvre fence with a crisp geometric appearance. 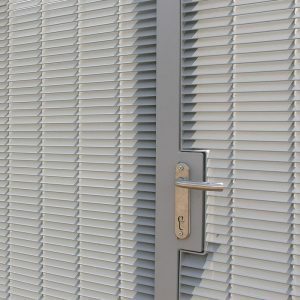 DeltaBox products complement the DeltaWing range; a deeper bearing bar accentuates the rectangular structure of the material. 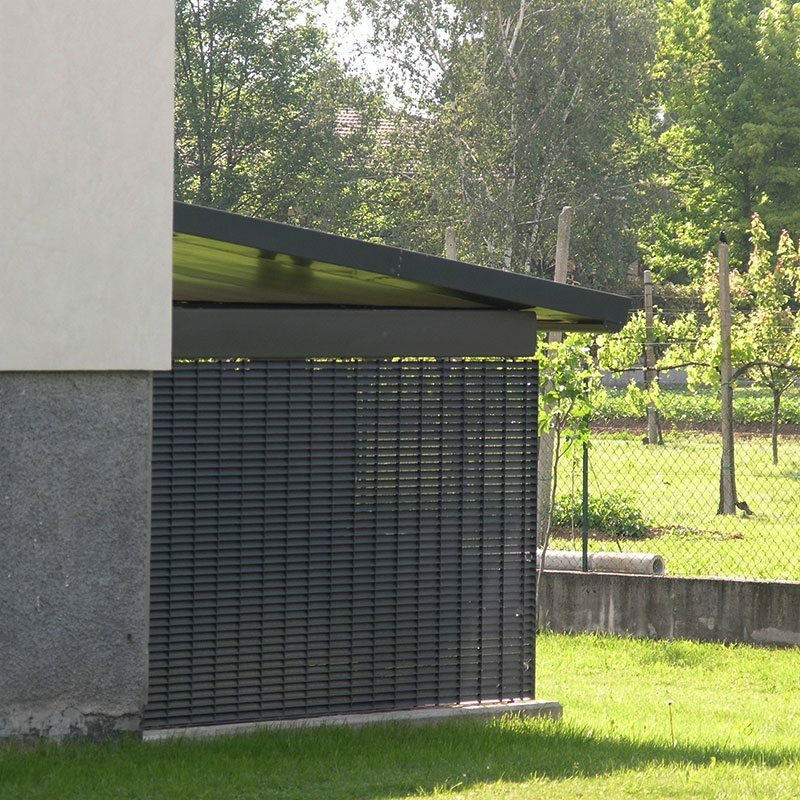 The 30x2mm vertical bar exactly contains the depth of the angled bar so that the intersections reach the front and back surfaces of the panel creating a distinctive geometric appearance. 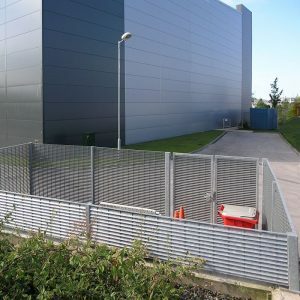 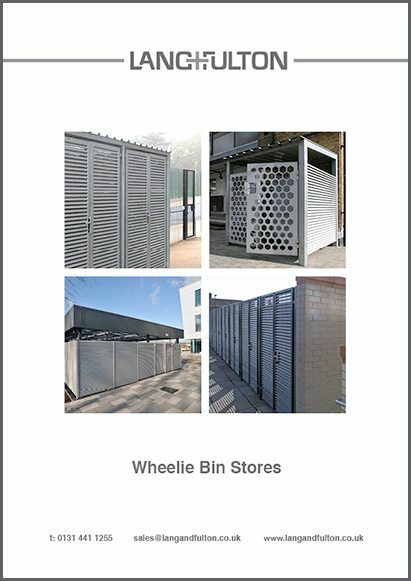 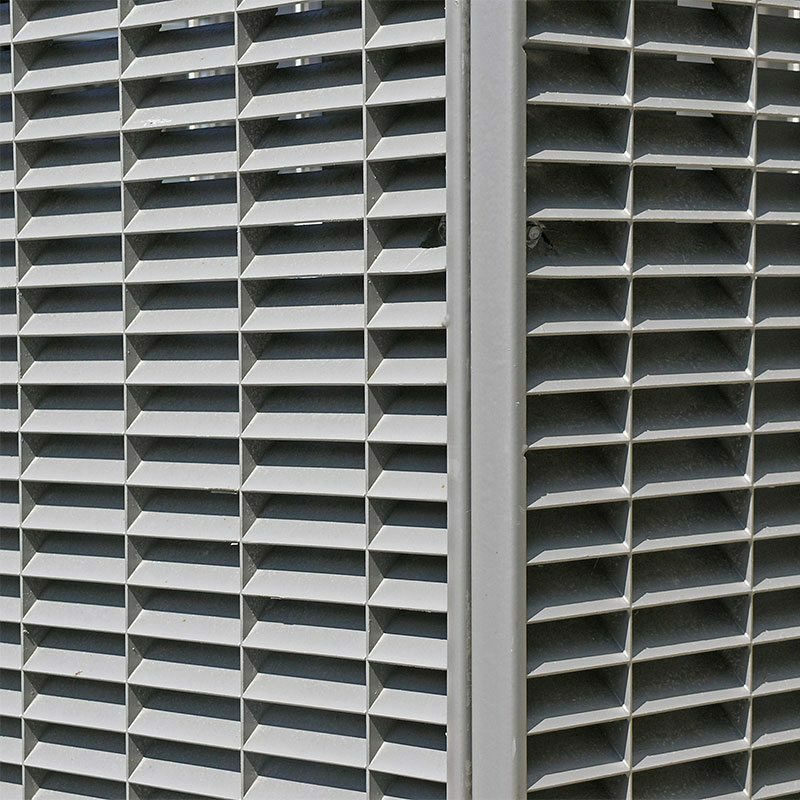 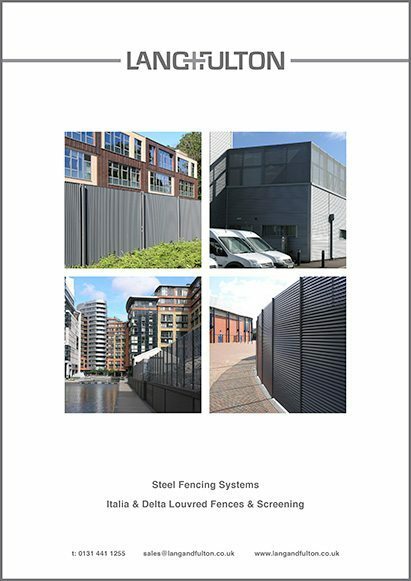 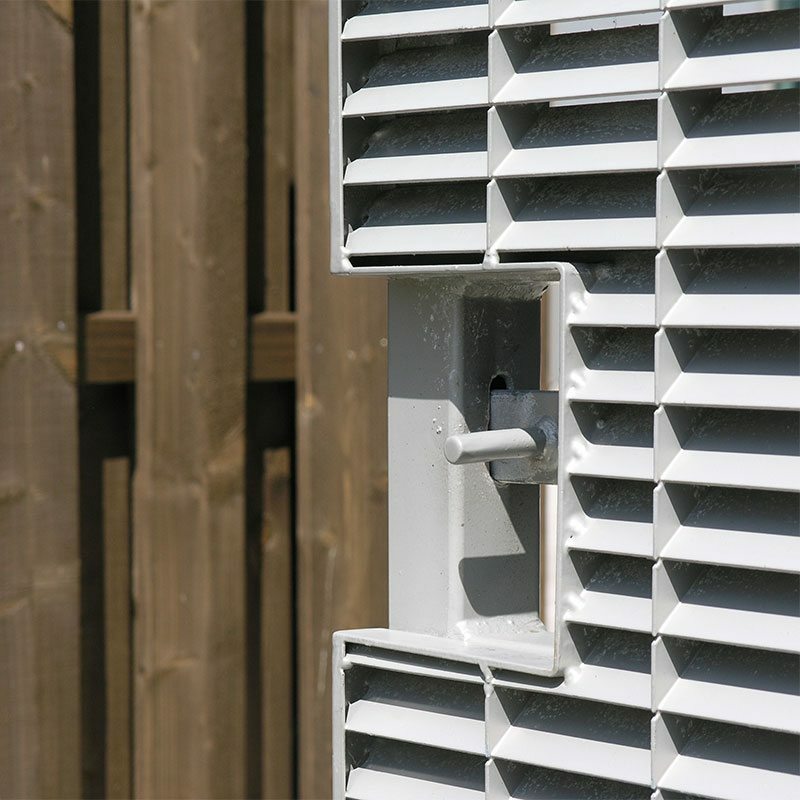 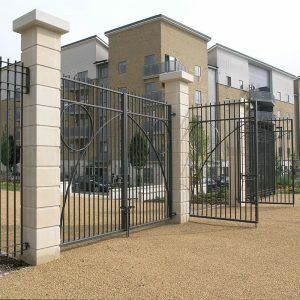 DeltaBox can be supplied in a galvanized or galvanized and polyester powder coated finish in any RAL colour, or in stainless steel.